Happy Monday! I’m back in Dallas and enduring more freezing temps today, much like it was when I was in New York. I wore this look to the Lela Rose show with my favorite ladies Rachel and Emily, and it was definitely one of my favorite shows of NYFW. This skirt by Lela Rose is a new obsession and I can’t wait to style it for warmer weather! As I mentioned in this post, I really wasn’t wanting my entire fashion week wardrobe to be black. Using this skirt and this bag, I was able to bring a bit of spring with me to New York, while still staying warm with a thick sweater and coat. I feel like it’s perfectly sophisticated and stylish, a great piece for church or date night. Once it’s warm enough out, I plan to dress it down with some simple tees and tanks. Some other good midi skirts I’m loving for spring are below – which is your favorite? Also, who do you think was best-dressed at last night’s Academy Awards? I loved J-Law (surprise, surprise), Emma Watson and Kate Hudson. Also, I may have said this before, but Olivia Wilde pulls off elegant baby bump style more than anyone I’ve ever seen! That skirt is to die for and love it style with that sweater. Love a pretty midi skirt and the floral one your wearing is lovely! 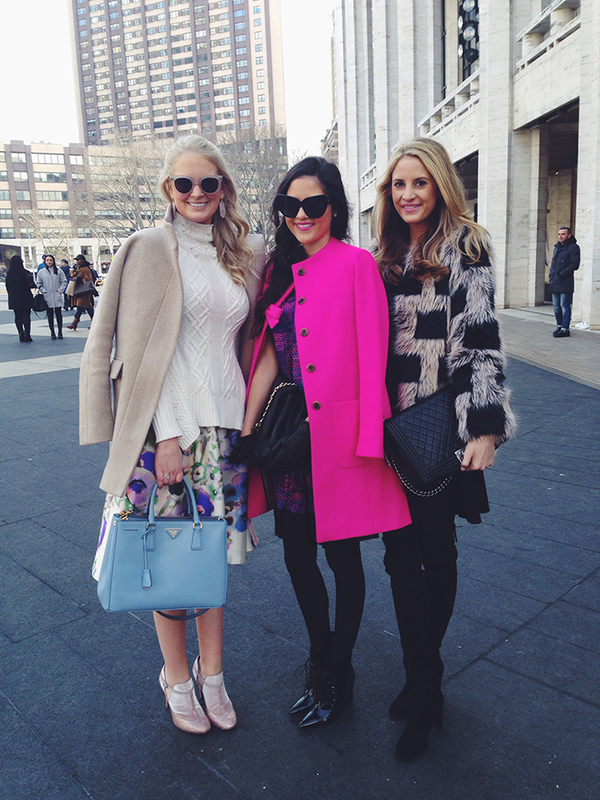 Looks like you had such a fun time in NYC! Loved seeing all of your CA pictures! 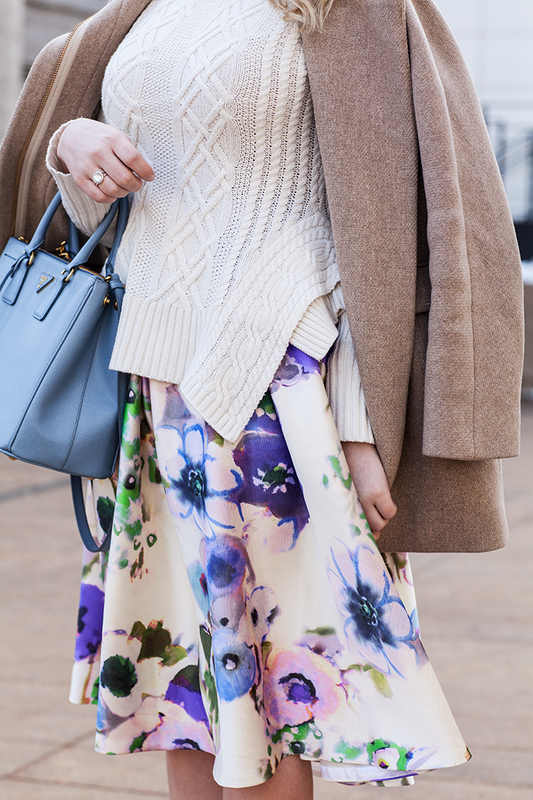 Adore this floral skirt, I am obsessed with all the watercolor florals out for Spring! that skirt is so gorgeous! I love that you paired it with a cable knit too… I’m a big fan of sweaters with super feminine skirts! You look amazing as always. Hope you had a lovely weekend! Beautiful floral print. This is a very sophisticated look. Love everything about this! That skirt is such a gorgeous print, and it looks perfect with those neutrals. Tibi Midi skirts are my favorite, but this one is gorgeous. The print is so perfect and looks like a painting. That skirt is just so pretty! 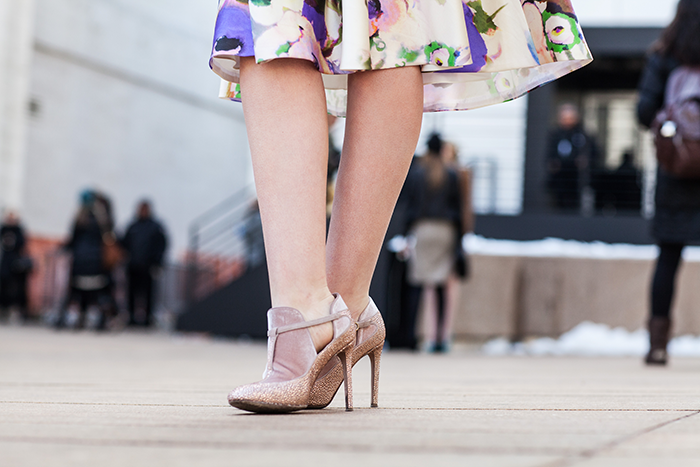 The print is just dreamy. Be glad you aren’t in NYC now, it is freezing with snow again! Love, love, love, love the skirt! So stunning! I love the pastel colors! And those sunglasses are awesome! i am absolutely swooning over that layla rose skirt…i love how feminine and colorful her designs are. I’m still so obsessed with those shoes! LOVE! Absolutely beautiful! I particularly like the sweater. Girl, you look like a supermodel! That midi skirt is a dream! 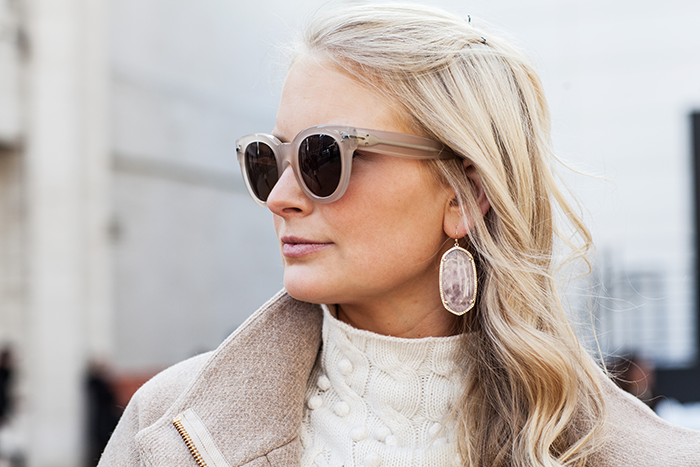 love the kendra scott earrings! Love the skirt! Great outfit!! Great photos and cute skirt! I love that shade of blue on the bag. You look gorgeous! I love the sweater, skirt & bag together! Love this outfit! I love that skirt. I seriously lust over it for my bridal shower. I mean… this skirt is everyythinggg. I’ve had my eye on it for a little while! Obsessed with this whole look. Possibly my favorite style scribe outfit ever? 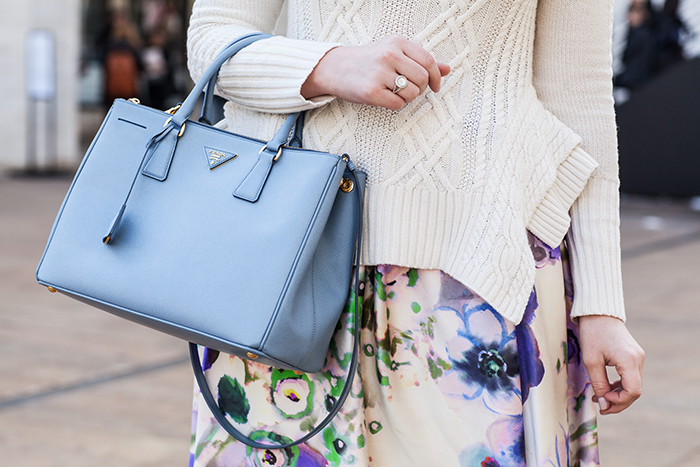 Such a beautiful spring look, and I love the color of your bag! That skirt is perfection! You look so pretty! this look is beyond fantastic! love that springy midi with the chunky knit. gorgeous!! those earrings are absolutely stunning! Absolutely adore your floral midi skirt! You look so elegant and classy, simply stunning. That skirt is amazing. I love it! And those shoes are fantastic. Absolutely love this look Merrit! That skirt is like my favorite thing ever! Such a stunning print! You look adorable…very Spring like. I really love the shoes! doing it yet again, love this floral + knit combo!